Arizona State University professors Lina Karam, Cun-Zheng Ning, Antonia Papandreou-Suppappola and Yong-Hang Zhang have been elected to distinguished Fellow status in leading professional engineering organizations. Each is on the faculty of the School of Electrical, Computer and Energy Engineering, one of ASU’s Ira A. Fulton Schools of Engineering. Karam, Ning and Papandreou-Suppappola are new Fellows in the Institute of Electrical and Electronics Engineers (IEEE), the largest and one of the most prominent international engineering organizations, with more than 400,000 members. Ning and Zhang are among new Fellows of the Optical Society of America (OSA), an organization of engineers, scientists, business leaders and educators in more than 100 countries who work in the fields of optics and photonics. Members of the organizations are elevated to Fellow positions based on outstanding achievements and leadership in their areas of expertise. Karam is being recognized for contributions to human perception-based visual processing, image and video communications and digital filtering. “In perceptual-visual processing we try to explore how we perceive images and video so we can develop systems that are more efficient and can improve the quality of an image while reducing the bandwidth, power or resources,” she explains. By understanding what humans can perceive, Karam introduces distortions where human perception is not strong, thereby conserving bandwidth and power that can then be channeled into more salient areas with color or depth variation to achieve better quality. “Previous algorithms rely blindly on every dot in the image and expend resources on everything. Instead we enhance things that are going to make a difference,” Karam says. Her work in image and video communications complements the perception research by providing the means to automatically judge the quality of an image. Karam is developing objective metrics that will perform this function and determine the location of distortions. Results of such research are applied in development of technological advances for consumer electronics. Communication devices make use of these functions to determine how much bandwidth to allocate to different areas in an image or video to optimize the perceived quality of the transmitted visual content, while minimizing the needed bandwidth, thus saving energy and costs. Digital cameras, for example, apply these functions to assess blur distortions in the image being photographed and then automatically adjust the lens to provide a clearer focus. Digital filtering takes signals or data and processes them through a system that changes or enhances them for a specific purpose. “The applications range from monitoring seismic activity and oil explorations, to medical imaging, noise reduction and low-delay communications,” Karam says. Karam was the first to bring a high level of expertise in modern image and video processing to ASU. Selection as an IEEE Fellow “makes you feel good that your work is being seen as something significant in the field,” she says. But she emphasizes the importance of the students who have worked with her throughout her career. “This wouldn’t have been possible without the students in my research group and their commitment to develop the ideas we discuss,” she says. Ning’s research group fabricates nano-scale lasers and studies nanowire materials for applications in optical devices. In collaboration with a colleague, Martin Hill from the Netherlands, Ning and his students developed what is so far the world’s smallest plasmonic nanolaser using electrical injection. Such lasers can potentially be used in future computer chips or for other on-chip information processing and communications. His selection as an IEEE Fellow is also based on his development of metallic-cavity nanolasers that operate at room temperatures without the costly and complicated assistance of refrigeration systems. This is so far the highest temperature at which such lasers can operate, moving nanolaser technology one step closer to practical applications. The OSA is recognizing his wide range of contributions to nanophotonics, optoelectronics and laser physics. His research in these areas involves pursuit of advances in photonic devices, such as lasers made from semiconductor nanostructures for optical and light- emission applications. His research group was first to create quaternary alloy nanomaterials and alloy nanowires that can emit over the entire visible light spectrum. Such unique nanomaterials have important applications in solid-state lighting. Using such alloy nanomaterials, the team has designed a new type of solar cell capable of absorbing the entire spectrum of solar light by using a variety of materials that most effectively absorb light at various wavelengths. It’s a particularly innovative achievement because all of the various materials can be grown at once on a single platform, instead of requiring a costly process of growing them separately and having to place them together. Ning’s wide range of innovations has attracted significant attention from the scientific community, as well as news media. He has been interviewed by several prominent research journals and magazines, such as Science, Nature Photonics and Laser Focus World, and the results of his team’s work have been featured in popular publications such as Science Daily. “I feel honored that I’ve been named a Fellow in these two most important societies in my field within a year. It is very rare for this to occur in the same year,” says Ning, pointing out the rigorous process of earning Fellow status. Individuals must be nominated for the honor by a current Fellow and gain support for the nomination through endorsements from at least several accomplished peers in their profession. Elevation to IEEE Fellow is limited to no more than one-tenth of one percent of the IEEE voting members each year. 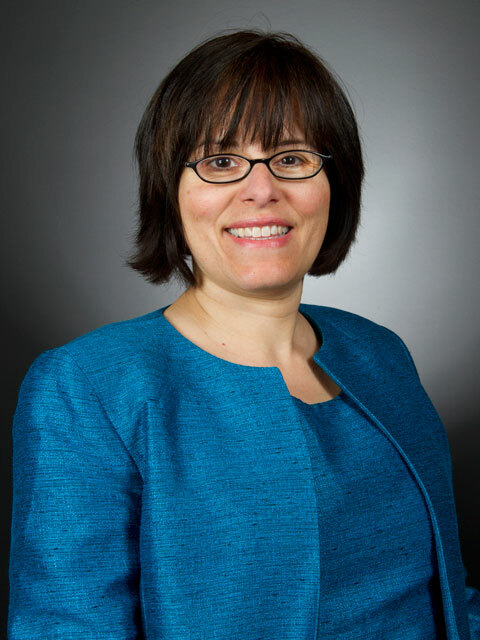 Papandreou-Suppappola was selected as an IEEE Fellow for her novel research in time-frequency signal processing. She has been working in the field for more than 15 years and has active projects ranging from waveform agile sensing and structural damage detection to biological and biomedical signal analysis and wireless communication system modeling. “Research in time-frequency processing methods provides matched analysis tools for signals with frequency content and properties that change with time,” she explains. It analyzes a signal on a two-dimensional plane of both time and frequency, allowing researchers to see the time, frequency and amplitude of a signal. She has received numerous awards and honors for her contributions in signal processing. In 2002 Papandreou-Suppappola won a National Science Foundation CAREER Award, which recognizes young engineers and scientists who demonstrate potential to be research leaders in their fields. 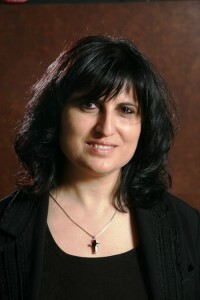 In 2003 and 2008 she won awards for her research from the IEEE Phoenix Chapter. She also received Teaching Excellence Awards from the Ira A. Fulton Schools of Engineering in 2005 and 2009. Her election to IEEE Fellow “provides credibility for my research,” she says. 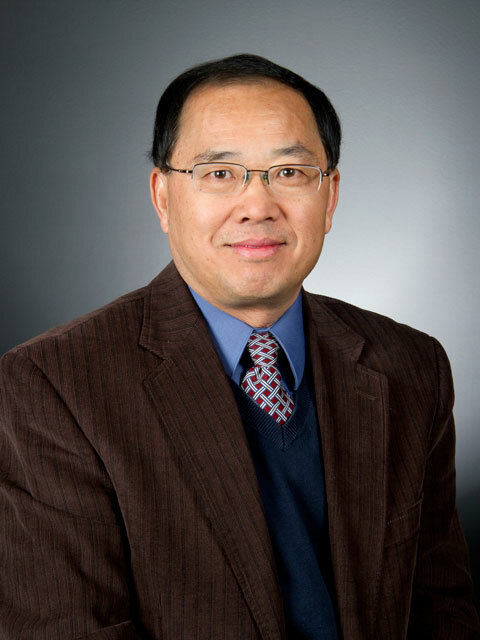 Zhang has been elected as an OSA fellow in recognition of his contributions to semiconductor optoelectronics. 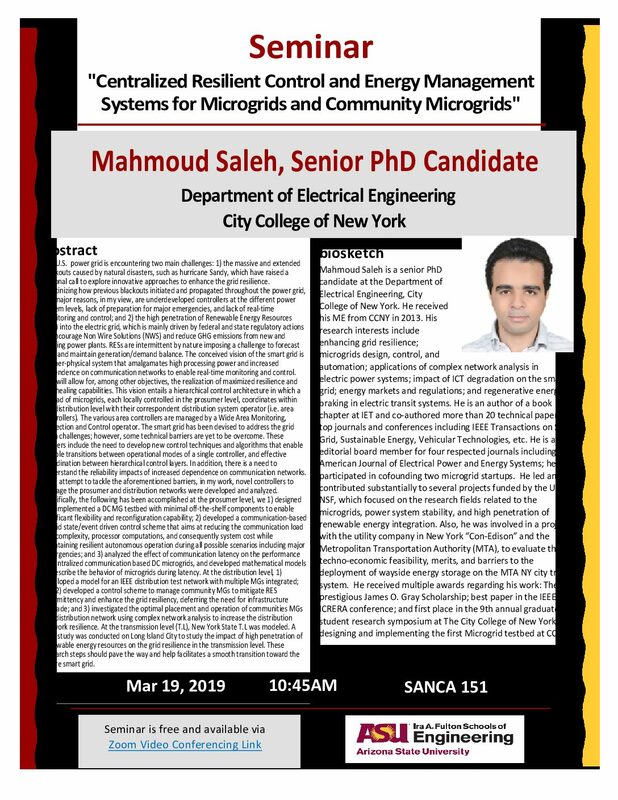 His research has covered a broad area of optoelectronics involving the growth of semiconductor materials and their structural and optical properties, as well as semiconductor devices design, fabrication and testing. These devices include lasers, light-emitting diodes, photodetectors and solar cells that have broad applications, such as the use of optical fibers and semiconductor lasers for the Internet, the use of photodetectors for environmental monitoring and electricity generation using solar cells. His most notable contributions in these areas include the invention of new materials and device designs for 1.3 µm surface-emitting lasers for optical data links, information for new high-performance solar cells for space and terrestrial applications, and demonstration of novel test methods for multi-junction solar cells, which have helped the solar cell industry design devices for optimal performance. 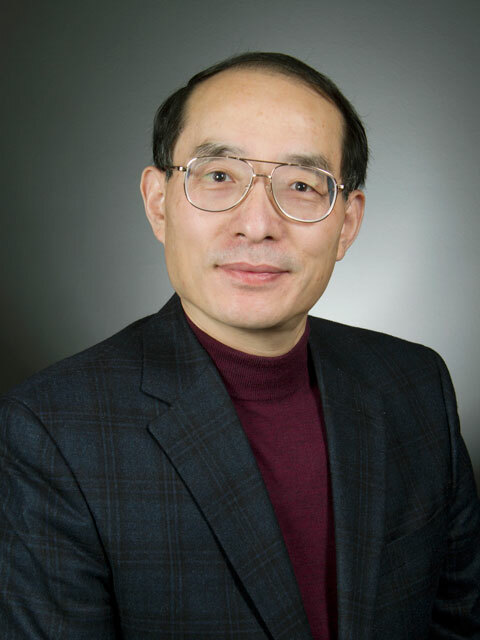 Zhang is currently supervising 15 doctoral and post-doc students, and has been faculty adviser to more than 20 students who have earned doctoral degrees or master’s degrees, and supervised more than 30 post-doctoral researchers. Many have gone on to positions as college faculty members and researchers at university research and development centers, as well as at national and military labs, and as engineers with major international corporations and innovative startup companies.